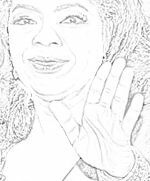 The striking aspect of Oprah Winfrey's hand are her deeply etched and clear lines which are in balance with the shape and texture of her hand. This balance is critical when it comes to overall personality balance. The major features of her hand (which can reveal Oprah's personality characteristics) besides her strong lines are her evenly set fingers of normal length (relative to each other) except for her Mercury finger and thumb, both of which are longer than normal. The Mercury or little finger and the thumb factor greatly in any individual's eventual success. clear thinking individual with purpose and focus. Her headline and thumb shows capability (ability to perform tasks efficiently), leadership ability and also organizational ability. 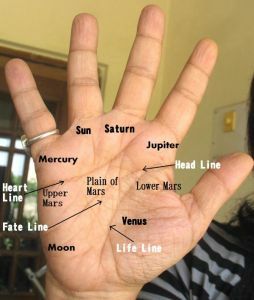 The Headline may not show superior intellectual capability but the strong Saturn finger with its square tip and finely balanced first and second phalanges shows the ability to think, analyse, investigate and introspect. Her hand also shows some amount of business ability as well as academic ability. People with this combination (Saturn finger and headline) are able to study a lot if they choose to due to their good memory and ability to concentrate. You can check out an image of her hands here. Not all people who are this mentally able are also this mentally stable. And good human beings as well. It’s the Heartline that Oprah has – long, deeply etched and forked, and the good mount of Venus which tells us of a compassionate person with a love for all human beings. True, her Moon mount is a little too developed, but this is what shows imagination, needed for her job. Her imagination may take her on the morbid road at times but she has a firm hold on it. What’s most important is Oprah’s emotional stability and this is shown by the medium (just right) development of most of her mounts, the Headline, overall strong palmar lines which give her grounding, and strong thumb. This shows her to be loving, strong, and loyal without being nervous or overly emotional. The thumb with its two balanced phalanges tell us about her strength of will without stubbornness, and reasoning and logic without weakness. She is likely to love deeply and passionately when it comes to romantic attachments. Her Mercury finger reveals her ability to express herself. Her ability to understand human beings is confirmed by her Mercury finger but the main signs are in her Heartline and Mount of Venus. This quality is enhanced by her inherent flexibility and understanding nature. Money is important to Oprah. Always was. In fact she has a liking for money, and has a nose for business. However this is balanced out by her idealistic nature when it comes to her work. Her Jupiter finger clearly shows that she wants to be a leader in something that concerns her beliefs, and will stick to these beliefs whether practical or not. But she takes pride in being rich. There are other things on her hand which are not perfect. Her hand also shows that she is capable of being manipulative and can be very shrewd at times, too shrewd. In other words she is not as straightforward as she appears to be. The shape of her hand and Jupiter finger also shows that she does not think as broadly as the impression she puts out. She can be quite judgmental, and has a way of seeing things from her own (at times narrow) perspective, and while this may not necessarily be a selfish one, it does not take into account all views. Oprah was born with all her good qualities, and probably this is why she weathered the storms of her childhood so well. Some people crumble, but not someone like her. However it is said that her first six years were spent in a stable environment and this must be the reason why she was able to keep her inner core intact. Perhaps her difficult childhood motivated her to make something of her life. Not all able people achieve as much as she has, even with the qualities she has. You will also find the personality readings of other celebs like Beyoncé Knowles or Rihanna or Oprah Winfrey or Michael Jackson here. Or check out the hand analysis of many other Hollywood actors, both male and female. Or about the hand readings of Businesspeople from different parts of the world. Perhaps she has an ideal hand? Does it seem so from what I have written? Well, that was not my intention because it depends what is ideal. If there is an ideal hand to me it would be the hand of Bill Gates. 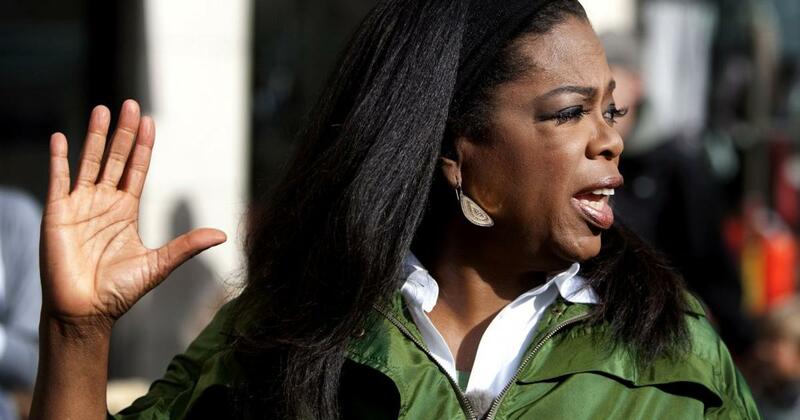 Oprah's hand her hand does not show a very high intelligence nor high sensitivity or any kind of artistic talent. Nor does it show a truly broadminded nature and nor is she straightforward. I do not see her hand as ideal. Her hand may not be ideal but she certainly is an ideal figure for many. She is generous with her money and time for any cause that she supports.She has transcended many barriers including that of race in many ways. I wouln't go so far as to call her saintly but she has many things in common with people who fall into that category.Her hand may not reveal her intelligence which perhaps has come to her over the years of managing her huge business empire.What her hand reveals and is really the cause of her success is her strong will to make something of her life which she has done, although this same will power has let her down in her fight against reducing her weight:) I used to watch her shows several years ago when I had the time - they were pretty interesting and down to earth. Thanks for the feedback Padmini. I agree that the most admirable thing about her is her motivation to succeed against all odds, and breaking the race barrier. Also, there is no doubt that she has intelligence although it is of a different kind, I think what they call emotional intelligence and also business intelligence or being very very street smart. I too used to watch her shows for awhile and like her a lot myself. And yes she has a very big heart, no doubt about that. P.S. I wonder why she let her weight increase. It is a mystery but I think that in her heart of hearts she doesn't care that much about it. pl can u do palm analysis of suhaib ilyasi..
After I got your request I checked the net for photos of his hand but none seem to be available. I need several photos of the hand, and at least one with the hand directly facing the camera.